This young 8 year old has a passion for design. 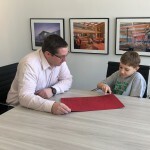 At 4 years old, he drew up plans to redesign his house and now has some plans for a restaurant. After pestering his grandma to share his ideas with someone, she came to us asking if we would be willing to talk to him after school. We were more than happy to sit down with him and listen to his ideas. To say that our staff had warm hearts that afternoon is an understatement! Maybe you call them Lunch & Learns. We call them Chow & Chats! Every month, we gather at the front porch and learn about something totally non-work related from a fellow teammate. Like the story behind a homegrown charity cause. Or a favorite vacation destination. Or raising animals and growing your own food. Anything goes, and it’s a great way to take a break from talking shop to experience the varied interests of the people we work alongside every day. What will we learn next? Grand Jivante in Ackley, Iowa is redefining eldercare by providing activities and experiences which embrace adventure and excitement in the everyday lives of seniors. 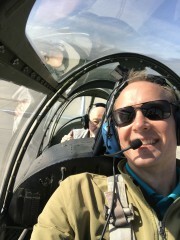 Andy Meyer from Bergland + Cram partnered with Grand Jivante to provide plane rides to a few residents on a beautiful, end of summer morning during the first week of September. He also talked about his WWII era plane with those that were unable to board, but wanted to get out on the runway and close to all the action. 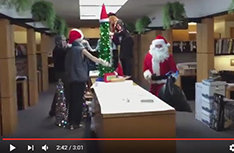 Kudos to GJ for making new memories every day for their residents! One Vision, formerly Opportunity Village, serves individuals with disabilities and their families in North Iowa. For decades, OV hosted much of their clientele in Clear Lake on a large, diverse campus which includes living, working, and recreational opportunities. A few years back, government mandates started to dictate that these individuals be decentralized and integrated among community neighborhoods, leaving OV with a dilemma.How to continue to focus on providing exceptional care and opportunities for specialized needs, while repurposing their soon to be empty buildings and beautiful 80 acre site? Bergland + Cram started working with OV in 2016 to determine next steps. Market research affirmed a demonstrated need for a variety of senior housing in North Iowa, which prompted the OV board to consider transitioning their campus toward a senior living community. Cerro Gordo County and all of North Iowa are faced with an increased aging population as our baby boomers begin to reach senior citizen age. Seniors make up 20% of Iowa’s population, 4% more than the national average. OV recognized that they were uniquely positioned to provide something to this aging population – something that has always been at the core of their business: providing amenities and opportunities to those with specific needs. If a senior living campus were to start from scratch, in addition to living units, it would require certain amenities. OV already had several desirable features in place, including a gym, an indoor pool, rooms for work and recreation, as well as a kitchen and open cafeteria multi-purpose space. What needed to be added to the mix was a variety of residential options and voila, a senior living campus could be created by repurposing much of what already existed. The campus will provide two types of living as a start. OV’s original group cottages are being converted into contemporary condos for seniors, ranging from 1,500 – 2,500 SF in size. The bones of these facilities remained mostly intact, with interior and exterior renovations making them an attractive, contemporary, and affordable option for seniors. Best of all, they are situated in a serene and secluded area with an abundance of mature trees and walking paths. The addition of individual entrances and attached garages will transform 9 original condos into 27 units called The Terraces at Glen Oaks. 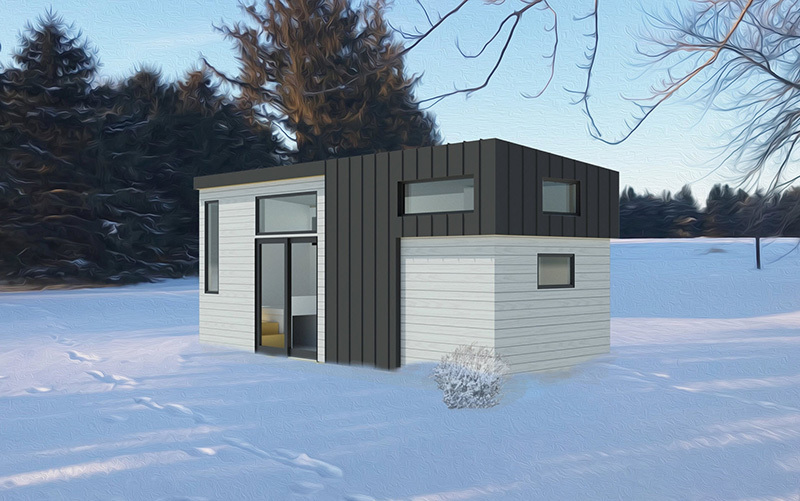 Project Manager Cally Niess of Bergland + Cram partnered with NIACC Building trades this year to design and build a one of a kind Tiny Home of her own. Cally is transitioning her lifestyle to minimalist. In her journey of finding a home after graduating college, she came across the Tiny Home idea. The thought of Tiny Homes being affordable, yet unique housing intrigued her. In September 2017 NIACC Building Trades began taking applications for custom tiny homes. Cally applied and a few short weeks later she was signing the dotted line and the wheels started turning. When Cally took to designing her tiny home, she stripped the typical residential home down to its core programs of sleeping space, bathroom, kitchen, hobby space, dining room, living room/relaxation, general storage and closet. In exploring these program elements, Cally identified which could be consolidated to share space. In bringing general storage and living space together, the living room will be built on an elevated platform to house totes of items such as seasonal clothing, craft/art supplies, etc underneath. The half-height wall that encloses the storage, acts as the anchor to a flip up table that will be used for dining and a work station for hobbies. The closet and sleeping space is consolidated in a sense where the steps going up to the lofted bed is being used as a closet to hold all clothing. “It took a lot of dissecting and imagination of what I wanted my space to feel like. It’s fun to see a space shrink – yet still be able to fit my needs.” Said Cally. 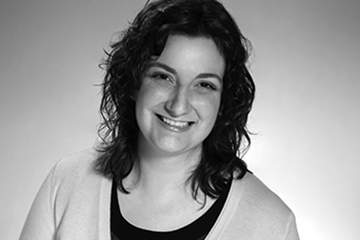 Kerry Anderson, Architect at Bergland + Cram in Mason City will be traveling to a widely attended healthcare conference in Orlando, FL this weekend thanks to the Herman Miller Healthcare Scholars Program in partnership with the AIA Academy of Architecture for Health. Herman Miller Healthcare sponsors individuals to attend the conference of over 3600 participants each year. This year, Anderson was one of 7 selected. The scholarship includes registration to the conference as well as reimbursement of other expenses. 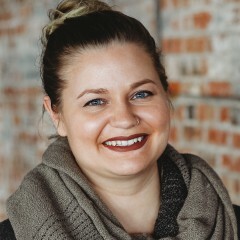 Kerry’s interest in Healthcare design sparked during a studio program at North Dakota State University where she designed a water research laboratory and later designed a cancer treatment center as her thesis project. The Healthcare Design Expo & Conference provides more than 100 educational sessions with the latest strategies, research, and trends in the healthcare design industry and is organized to provide comprehensive content with inspirational keynotes, panel discussions, and networking. An exhibit hall is available for attendees to view the newest innovations in healthcare design products. “While attending the conference will certainly be a springboard for developing my own knowledge base and design philosophies around healthcare, I am even more excited about the information I can bring back to share with my design firm and my community,” she said. “Mason City’s healthcare network serves a wide area of patients in North Central Iowa, and I believe it is important for those patients to be given the same consideration in care and design that is afforded to larger population centers,” explains Anderson. The conference runs November 11-14. Two similar words with vastly different meanings according to our residential architects. Whereas a house simply contains you and requires that you adjust your lifestyle to its contents, we believe that a home compliments and enhances your way of life. We create custom homes throughout the Midwest, partnering with clients to combine functionality, cost efficiency, and inspired design. Contact us today to discuss your next project and discover what a rewarding experience it can be to work with an experienced home designer to create the space of your dreams. 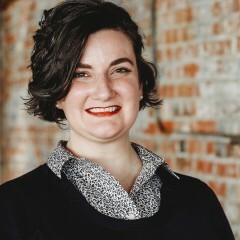 Kerry Anderson, Intern Architect with Bergland + Cram has been appointed to the AIA Iowa North East Section Board of Directors. The North East Section is part of the American Institute of Architects Iowa Chapter. Kerry graduated from North Dakota State University in 2011 and has been with Bergland + Cram since 2014. 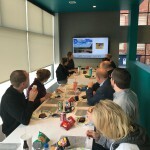 She recently passed all seven of her Architect Registration Exams and will gain full licensure after completion of her Intern Development Program hours. She and her husband Larry reside in Mason City. 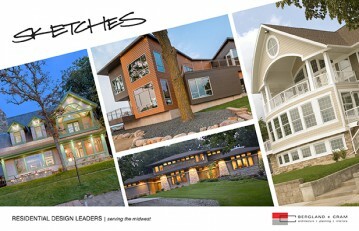 The AIA Iowa North East Section enhances the ability of the AIA Iowa chapter to serve its members. The section provides continuing education opportunities, networking opportunities, public outreach and serves as a sounding board to relay information to the state chapter. The 78th annual North Iowa Band Festival will take place this weekend right here in River City. Dana Thomas, Interior Designer for Bergland + Cram, is on the ground floor behind the scenes with planning. Serving her 4th year on the committee, Dana acts as Volunteer Coordinator for guest services, information, and merchandise sales. Each year the Band Festival committee looks for close to 100 volunteers to help the 65,000 men, women, and children who attend the weekend. Bergland + Cram enjoys being involved in the community. 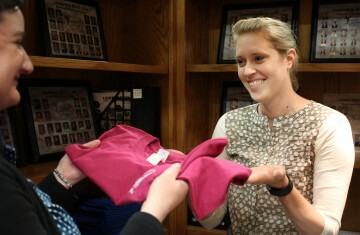 For Dana, helping the North Iowa Band Festival was a perfect fit. Being the birth place of one of the first ever grammy award winners, Meredith Willson (most famous in these parts for the Music Man), Mason City celebrates music, and the North Iowa Band Festival shows a community coming together, always rooted in its musical heritage. If you’re interested in seeing one of the first ever grammy awards in person, check out the Music Man Square Museum in Mason City.